Caribbean food is a fusion of many global cuisines mixed with distinct spices and ingredients found in the region. From seafood to meat dishes join our chefs to master a range of recipes guaranteed to bring some Caribbean sun to your plates. 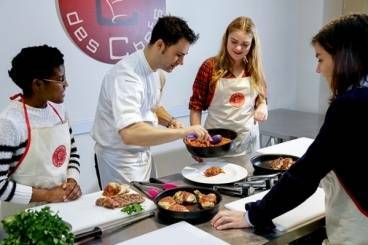 You’ll be taught by professionals in a modern, high tech cookery school. Come along to pick up some new skills, add some recipes to your collection and have a great day out.